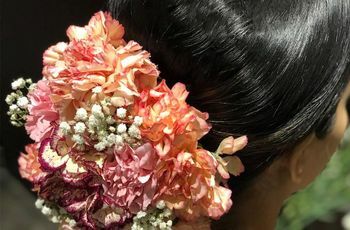 7 Creative Ways to Use Your Bridal Kalire Post-Wedding to Relive Your Wedding Day Glories | Wedding Tips ARE YOU A VENDOR? 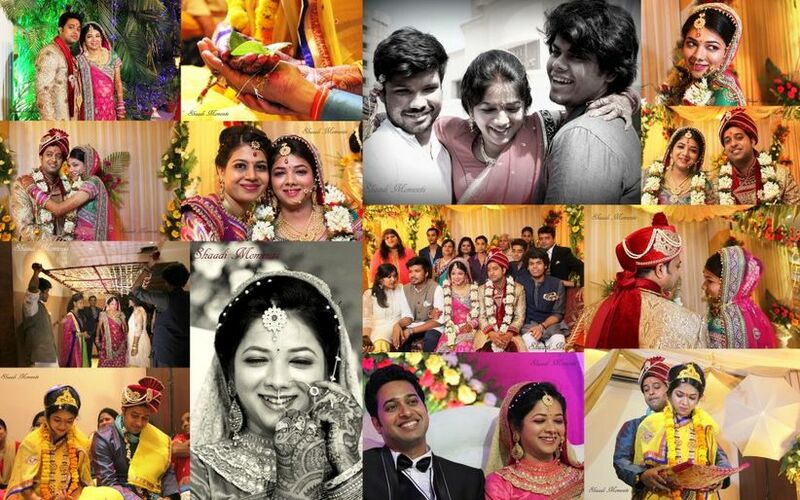 Weddings result in a lot of memories, physically present in each segment of a bride's attire. 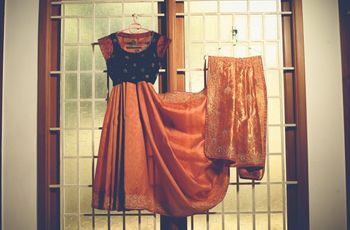 Here are some creative ways of re-living those through your bridal kalire, simply by how you choose to store them. A gorgeous gold foil ornament dangling from the bride’s wrist, the bridal Kalire are among the elements which complete the bridal attire. Sisters of the bride tie these Kalire on her wrist and that is the last step of her traditional Shringhar for on her big day. These stunning umbrella–shaped danglers add more than just beauty, they are symbols of good luck and prosperity! There’s always a feeling of holding on to the special moments from your wedding for as long as you can. We have gathered here some creative ways in which you can store your bridal Kalire and relive the precious moments. Your bridal Kalire will forever hold a special in your heart and life as they are a symbol of your maternal side's love, devotion and goodwill that will forever stay with you. Well, this is the classic and traditional way of storing a bridal Kalire, by keeping it away safely. 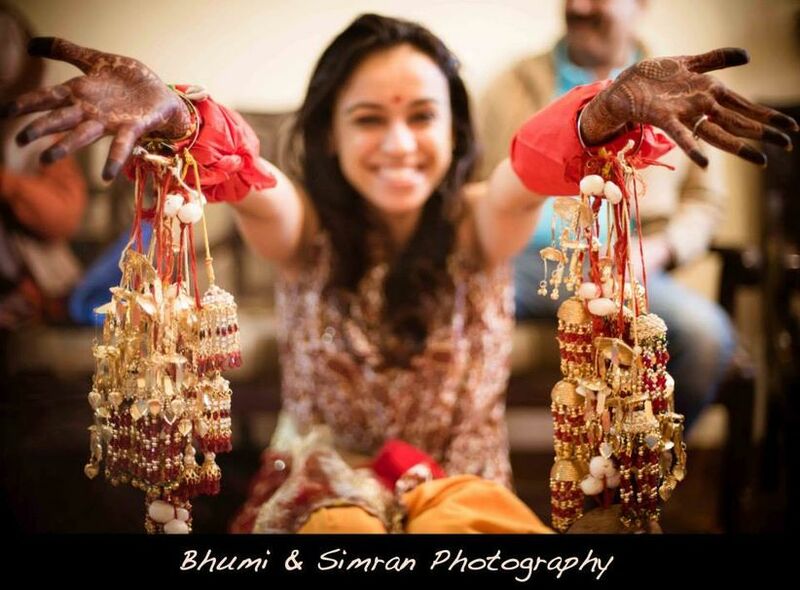 But, you can get creative with it and make a memory box for storing these bridal accessories. A special way to DIY this is to use photos and tiny trinkets from your wedding day to decorate the box. Within the box, you store the bridal Kalire with a slip of a heartfelt message from each of your bridesmaids. Then, each time you open the box, it takes you back to the very moment of the Kalire ceremony and you cherish the special bond you share with your squad. Also, Kalire are seen as a symbol of eternal love that every girl gets from her maternal family which becomes an heriloom in itself she will foerever hold close to femind herself how much she is loved and respected. Unlike the memory box that is stored away and hidden, a shadow box can be a beautiful way of preserving your bridal Kalire and also displaying it at the same time. 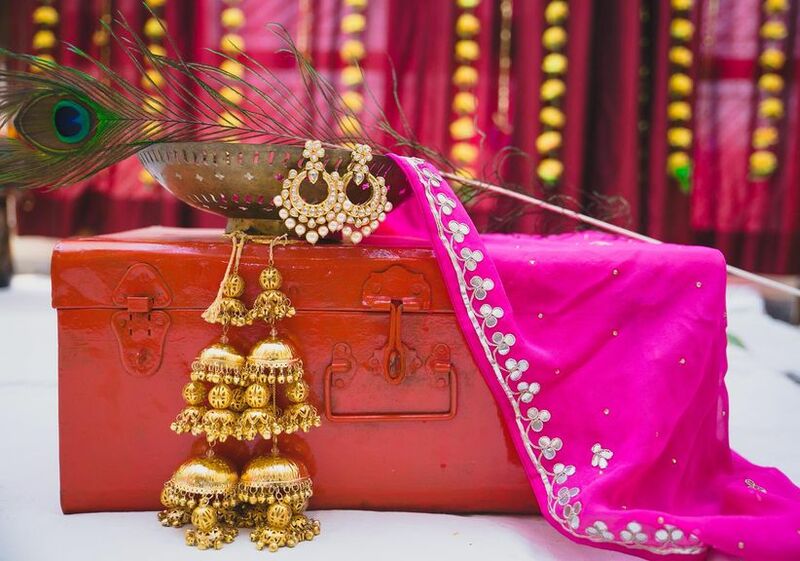 You can play around with the shadow box and also add other trinkets from your wedding like a tassel from your bridal lehenga, a piece of a colourful decorative element from your Mehndi day etc. 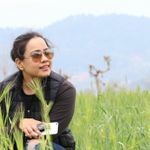 You can reach any professional crafter to customise it for you, or, if you are crafty like us, you can easily DIY it and make it completely personal. Having a box such as this will also ensure that your Bridal Kalire stays safe from wear and tear or from chipping. Ensure you wrap them in soft cloth before you place them in a box. Simple yet elegant, is how we would describe this idea. But, don’t be fooled by its simplicity, using the bridal Kalire as a piece of decoration can be quite charming. Let me build you a picture – hang the Kalire on your curtain rods. Simple, right? 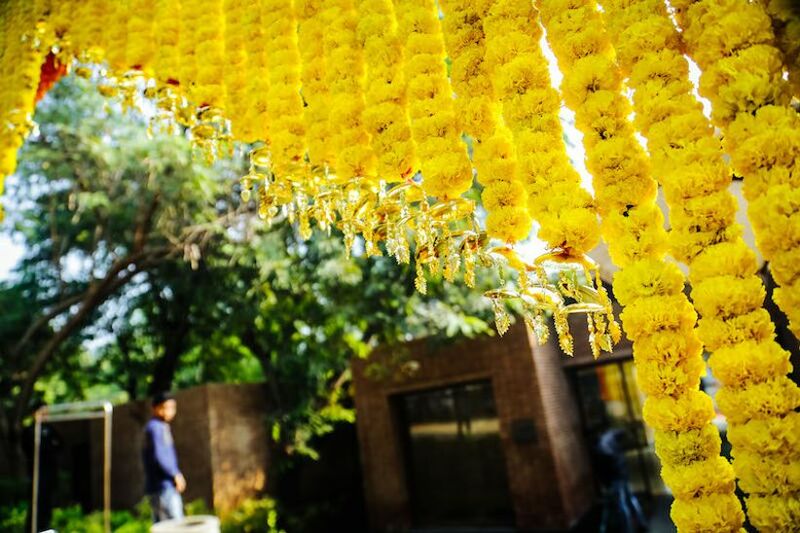 And then every morning when you draw the curtains, the sunlight hits the gold Kaliras and they glisten spectacularly. Their shine reflects in your eyes and with that smile sneaking in, you know you are walking down the memory lane. 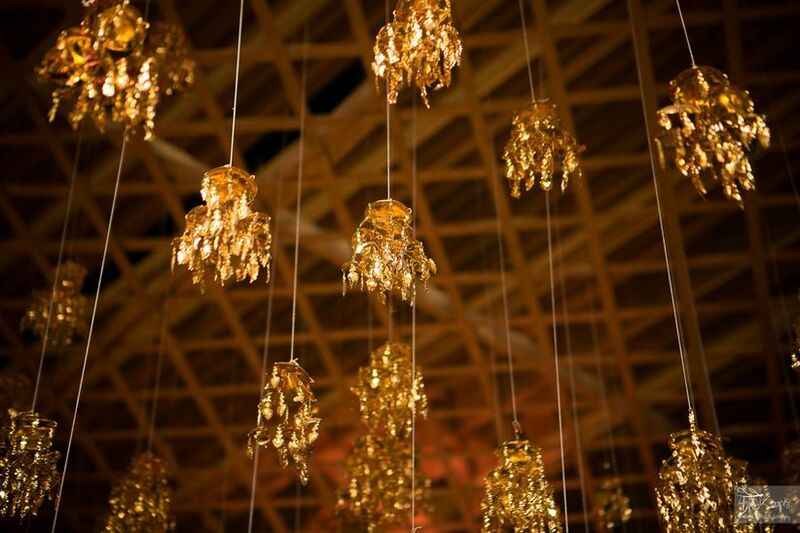 Nowadays we keep spotting ample wedding decorations in which Bridal Kalire are suspended from the ceiling, if you want something similar then have your decorator do just that for you. This one is for all the creative Keedas in the house! If you have an itch to stitch your memories your way, then scrapbooking is the option for you. Create a wedding scrapbook and stitch all the moments in one place. Play around with colour schemes to match the theme of your wedding. You can add photos from each day and each ceremony with personalised messages going along the way. Memories will come to life each time you open your scrapbook. 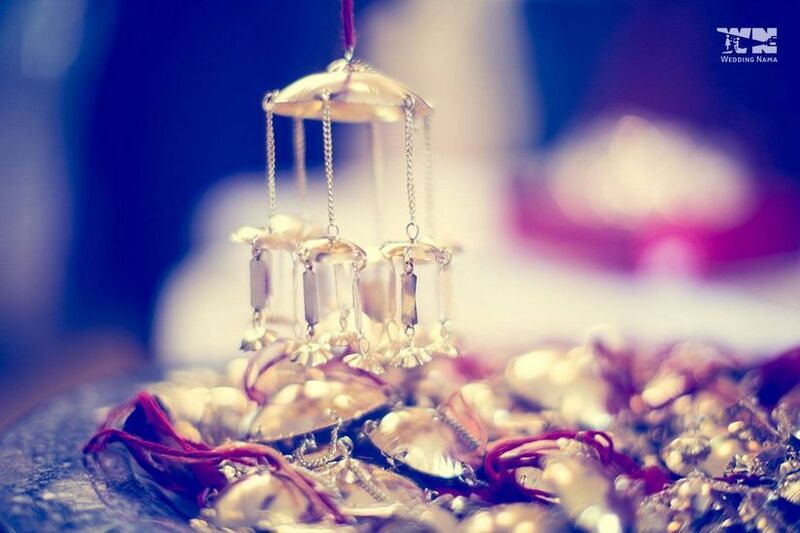 A quirky way of using your bridal Kalira after the wedding day is to DIY it and add it to a wind chime so that each time the wind blows it carries with it all the love, prayers and blessings that the Kalire carries. To make an edgy piece of wall hanging, you can replace the feathers of a dreamcatcher with the gold foil umbrellas of a bridal Kalira. It makes a unique piece of decor that is believed to keep away bad dreams from the woven web in the dreamcatcher and will always remind you of your special day with the ‘Kalira feathers’. Not every way of storing a bridal Kalira has to be decorative, some are just sentimental. 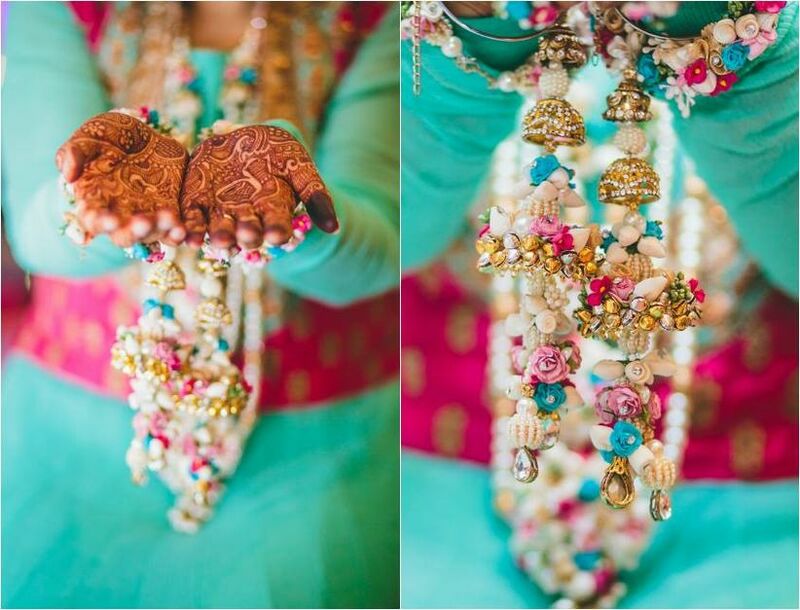 Bridal Kalire are a symbol of good luck and is blessed with good wishes for the bride from her family. 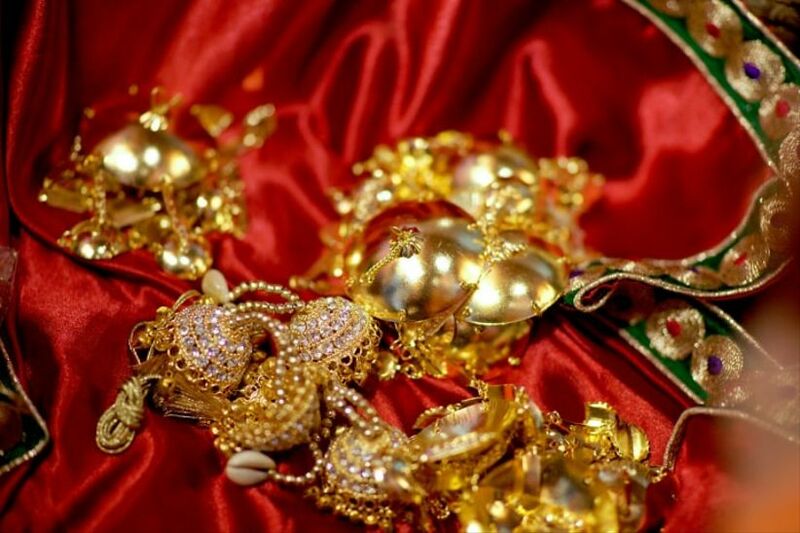 One sentimental and spiritual way of storing these ornaments is to place them in your house temple with a belief that each prayer chanted in the temple will bring showers of blessings for the new member of the family. This is by far the favourite ritual or perhaps a tradition that we enjoy. The feeling each of your friends will have when you dangle your Kalire over their head is unmatchable. Sweet, with an extra dose of sentiments, this way is especially relevant today, when you consider the sea of Kalire designs available these days. 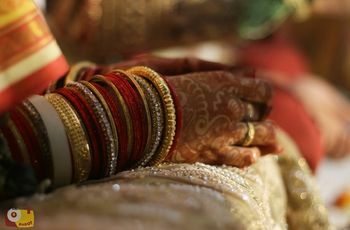 Each bride is on her way to the new phase of life has many aspirations and wishes for her future, and building a family is a big part of it. With this new phase also come in new traditions that you want for your family. So, as to pass down the love and blessings that you have received, you can save your bridal Kalire and pass it down to your daughter when she is at the phase where you stand today. Hope these fun, quirky and sentimental ways of storing your Kalire after the wedding has lit the light of ideas in your brain. So, it’s time to take off your thinking caps and get your creativity gear on. How do you wish to store your bridal Kalire? Let us know in the comments below!